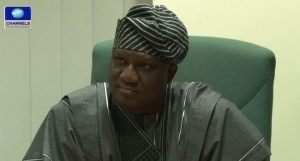 The Deputy Speaker of the House of Representatives, Honourable Lasun Yusuf, has described as misrepresentation of facts, the widespread allegations of padding of the 2016 budget. He said that contrary to rumours being peddled around the country, there was no section of the appropriation bill that was padded. The lawmaker explained that the legislature had in exercise of the power conferred on it by the constitution, reallocated figure in the budget estimates as presented by President Muhammadu Buhari. 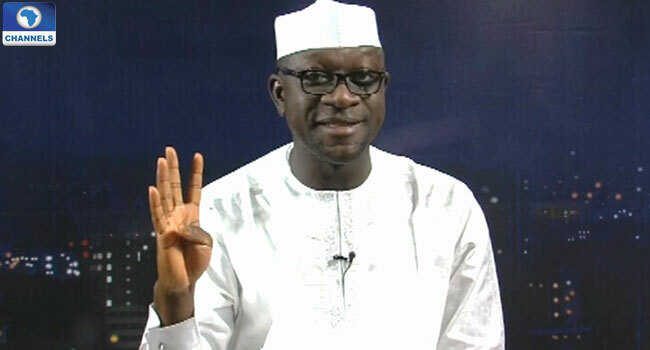 He made the disclosure while delivering a lecture at the 17th edition of the media parliament of Kwara State Council of the Nigeria Union of Journalists (NUJ). Mr Yusuf spoke on the ‘Challenges of Law-making and the Delivery of Dividend of Democracy in Nigeria’ during the gathering at the Abubakar Olusola Saraki Pen House in Ilorin, the Kwara State capital. He explained that it was the exclusive preserve of the legislative arm to rework annual fiscal document tabled before it by the executive, stating that such document remains “an estimate and not real budget”. The former Chairman of the House of Representatives Committee on Appropriation, Mr Abdulmumin Jibrin, who had blown the lid that some principal officers of the lower chamber of the National Assembly partook in the budget padding scam, was suspended from office. His allegation had ignited public outrage against the National Assembly while the House maintained that the budget was not padded as alleged. The Deputy Speaker, however, told the gathering in Ilorin that the allegations against the leadership of the House by the suspended lawmaker were of no effect and could not be substantiated, insisting that the House acted within its powers. He stated that the House was empowered to reallocate and reconcile figures in the budget estimates that were believed not to be properly done. Honourable Yusuf decried that many Nigerians were ignorant of the works of the legislative arm and were fond of passing verdict without verifiable facts on some allegations levelled against the lawmakers. He explained further that it was the primary responsibility of the law-making body to scrutinise budget estimates submitted by the executive arm, adding that members could use the avenue to address pressing needs of their people. “While the executive makes proposals on projects, programmes and expenditure for every year, the legislature finally approves figures that are spent. “In the process, the legislature often interfaces with the executive to have certain projects and programmes form part of (the) budget. “This is necessary as I have said earlier because the closeness of the legislator to the constituents must have emerged from that environment. “It is critical that certain pressing areas requiring government attention are suggested and included in the estimates. “Unfortunately, the poor understanding of the fine details of legislative practice anchored on the express provision of the constitution erroneously informed the so-called budget padding debacle which was a distraction to the polity. “For instance, the case of 50-year-old Ojutu Bridge in my constituency that has great potentials in turning around the lives of my constituents,” Yusuf said.